As you may have read elsewhere, to do this loop you need to go to Binna Burra Lodge in Lamington National Park. From here it’s a 1.9km walk to the actual loop itself (16kms). 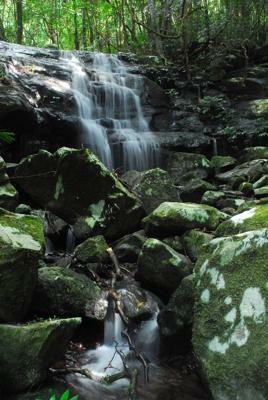 For the first few kilometres there’s some lovely rainforest and then you reach Coomera Falls. From here on for the next 7-8kms it’s waterfall heaven. You’re never out of earshot of falling water and, most of the time, you can see either a named fall or a picturesque cascade.